Why it matters: Apple’s iPhone X might have popularized the notch among Android manufacturers, but the expensive flagship wasn't Cupertino’s most successful handset in May. That honor went to the cheaper iPhone 8, which according to new data from Counterpoint Research, beat its $1000 cousin and the Galaxy S9 Plus to become the world’s best-selling smartphone during the month. Despite sales falling below expectations, Apple’s iPhone X had been the best-shipping smartphone over the holidays and Q1 2018, but was later surpassed by the iPhone 8. 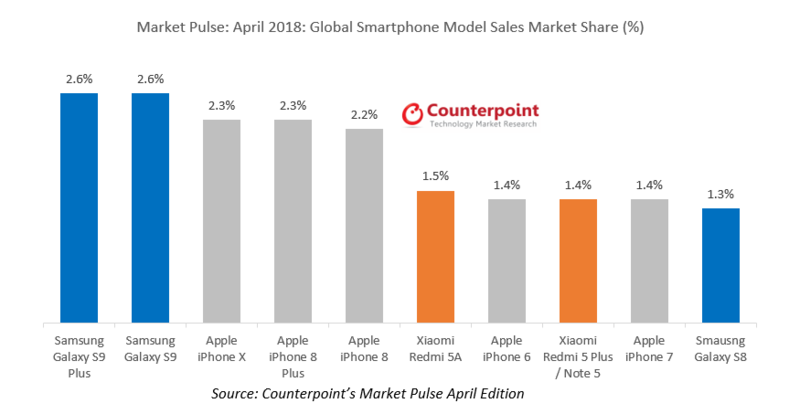 The report shows that both the iPhone 8 and Samsung’s Galaxy S9 Plus accounted for 2.4 percent of the global smartphone sales market share in May, with Apple’s handset ever so slightly ahead. 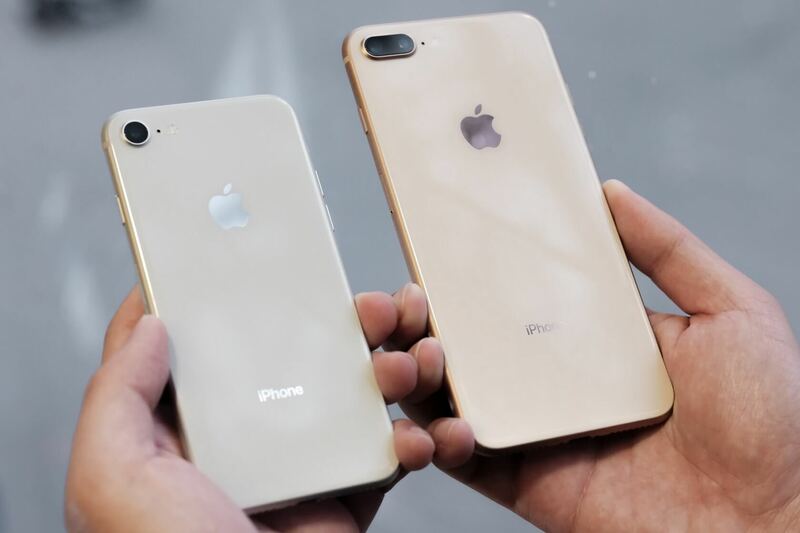 The iPhone X sat in third place with 2.3 percent, followed by Xiaomi’s Redmi 5A (2.2 percent) and the iPhone 8 Plus (2.1 percent). Counterpoint Research says Apple's recent ‘How to shoot on iPhone’ promotional campaign in the run-up to the world cup helped push sales of the iPhone 8 in Europe and other markets. 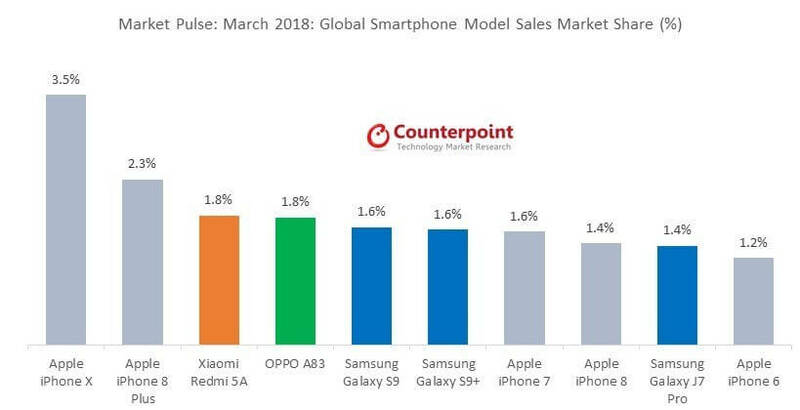 Back in April, Counterpoint’s data placed both versions of the Galaxy S9 in the top two positions, followed by the iPhone X, 8 Plus, and 8. A month earlier, the iPhone X had held a huge lead. The success is a very different story from the iPhone 8’s launch, which saw small turnouts and reports of the weakest sales figures of any iPhone in years. It seems that as the novelty of the notch and FaceID wore off, Apple fans preferred to save money by opting for the smaller-screen device, which has the same A11 Bionic processor and M11 co-processor as the iPhone 8 Plus and X.